How much you pay for electricity could soon depend on when you use it — and Coachella Valley residents could see their summer bills go up substantially. The California Public Utilities Commission could soon ask Southern California Edison and other utility companies to start designing “time-of-use” residential electricity rates, to take effect in 2019. The rates would make electricity more expensive when demand is high, and less expensive when demand is low. Some ratepayer advocates and environmental groups support time-varying rates, which they say would help reduce dependence on climate-altering fossil fuels. But at least one consumer watchdog group is worried the rates would have unintended consequences. For instance, the new rates could make electricity much more expensive during the summer, hitting desert residents hard during the many months of air conditioning season. 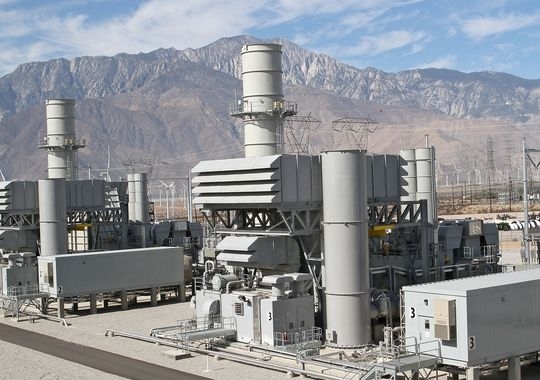 “It’s not clear to us that folks in the Coachella Valley are likely to be the winners of this at all,” said Matthew Freedman, a staff attorney at The Utility Reform Network, a San Francisco-based ratepayer advocacy group. It’s no secret that the cost of providing electricity changes depending on the time of day, and the time of year. For Edison and other utilities, powering our homes and business is more expensive when overall energy demand is high, in part because they’re forced to buy electricity from expensive “peaker” power plants that wouldn’t otherwise be needed. Demand tends to peak in the afternoon and evenings, and on hot summer days. For state officials, the goal of time-varying electricity rates is simple: encourage people to shift their energy use from high-demand times to low-demand times. “It sends better price signals about the real impact that people’s consumption will have on the grid, depending on the time that electricity is used,” Scott Murtishaw, an energy advisor to public utilities commission President Michael Picker, said last month. It’s not clear how many customers would pay more and how many customers would pay less under time-of-use rates, in part because so much of that depends on whether people change their behavior. State officials are trying to design the rates in such a way that overall electricity costs stay the same. What will change in 2019, if utilities commission officials follow through on last month’s proposed decision, is that residential customers served by Edison, Pacific Gas & Electric and San Diego Gas & Electric will start paying time-varying rates by default. They’ll have the option to switch back to traditional, tiered electricity rates, but experts say few consumers are likely to make that decision. Many environmental groups see time-varying rates as a smart way to limit fossil fuel-driven climate change. While the rates wouldn’t be designed to reduce overall energy consumption, they would ideally limit the need for expensive, gas-fired “peaker” plants. Those plants are generally inefficient, spewing more air pollutants and planet-warming greenhouse gases than most energy sources. “We want to reduce reliance on peaker plants, which can be more polluting than California’s regular fleet of gas plants, and we want to reduce the need to be procuring more and more resources,” said Alison Seel, an attorney with the Sierra Club’s Environmental Law Program. That’s not to downplay the benefits of cutting overall energy use, which can also limit climate change. But experts say reducing peak demand has become increasingly important. Over the past 20 years, peak demand has been growing faster than overall demand, according to the California Energy Commission. Lowering those peaks could also save consumers money, by limiting the need for expensive new infrastructure. “To the extent that consumer behavior en masse can change a bit to reduce those peaks, that would reduce the need to build new substations, new transmission lines, new distribution lines,” Campbell said. While the state’s Office of Ratepayer Advocates supports the move to time-of-use electricity rates, another consumer watchdog thinks they could cause serious damage. The Office of Ratepayer Advocates is less concerned. The utility commission’s proposed decision, Campbell noted, would allow time-of-use customers to pay for a “baseline” amount of electricity at a discounted rate. That rate would be different in each climate zone, and higher in the desert than elsewhere. The proposed decision also endorses “shadow bills,” which would show time-of-use customers how much they would have paid under the old system. Shadow bills, if ultimately required by the utilities commission, would encourage consumers who are paying more under time-varying rates to opt out. Still, critics fear that time-of-use rates would lead to much higher electricity bills in the desert. The public utilities commission asked Southern California Edison to analyze the financial impact of default time-of-use rates in hot climate zones. Under a worst-case scenario in which no one starts using energy at different times, Edison customers in the Coachella Valley would pay anywhere from 26 percent more to 188 percent more for electricity during the summer than they do right now. People who use the least electricity would take the biggest financial hit. The Utility Reform Network is also skeptical that default time-of-use rates will have major environmental benefits. If state officials approve default time-of-use rates, it could lead to “a real serious rate revolt,” Freedman predicted. The estimated bill increases should be taken with a grain of salt, in part because some people probably would start using energy at different times. And when non-summer months are taken into account, overall bill increases would probably be much smaller. Another reason the estimated bill increases are less informative than they seem: They compare time-of-use rates to the current four-tiered electricity rate structure, which could change drastically starting next year. Under the current rate structure, homes served by Southern California Edison pay higher prices for higher electricity use. That would still be true under a controversial restructuring proposed by the utilities and endorsed by Picker, but the pricing differences wouldn’t be nearly as stark. Costs would rise for those who use the least and fall for those who use the most. The commission has yet to vote on those changes, and Commissioner Mike Florio has proposed an alternate plan that would soften the financial blow for those who use the least energy. But if and when residential time-of-use rates become the default, customers who opt out would probably end up in a tiered system that looks very different from the one we have now. It’s still far from clear how costs under the two-rate structures will compare. Utilities will spend the next few years designing the time-of-use rates, and they’re sure to face pressure from ratepayer advocates and environmental groups to come up with a system that doesn’t disproportionately impact any one group.